This is probably the hottest cafe in town! It seems like this place is flocked by neverending crowd any time of the day!! 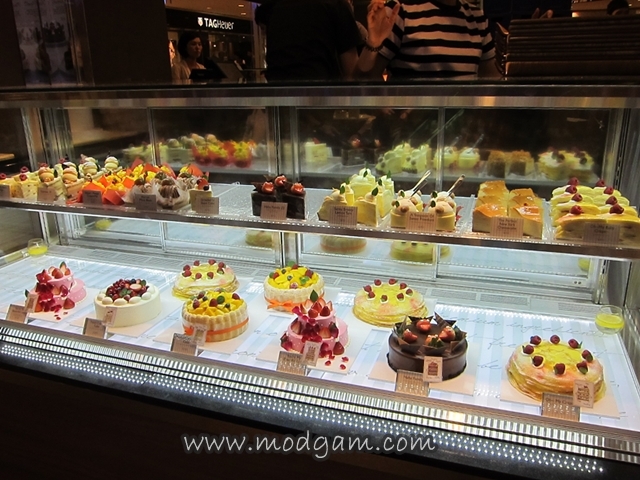 This is probably the first time the queue was this short and the brightly lit cake counter filled with many pretty cakes smiling at me, I caved in! My korean-crazed friend told me this French inspired Korean Cafe is really popular in Korea itself and that I had to try their signature royal pudding! 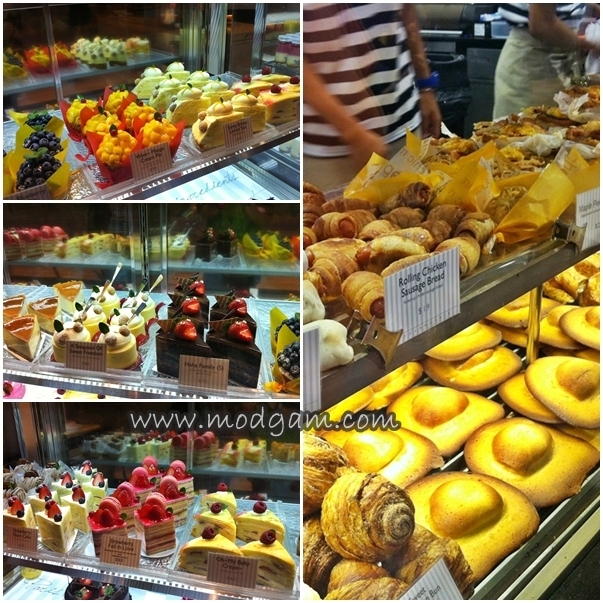 With these beautiful looking cakes and the long row of delicious looking bread, its no wonder the queue never ends. 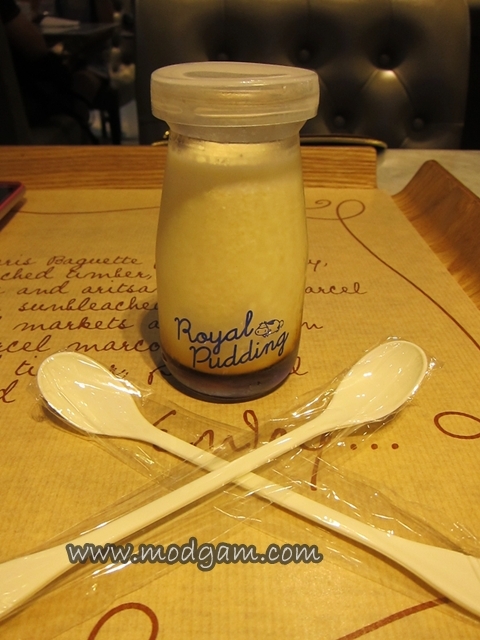 Royal Pudding S$4.00 – I was a little skeptical when my friend told me this has a very strong milk flavor for I am no fan of milk. She said to stir and mix the syrup at the bottom with the pudding to get the best flavor and so I did. It tasted like caramel, sweet and with the smooth milk pudding = yummy! 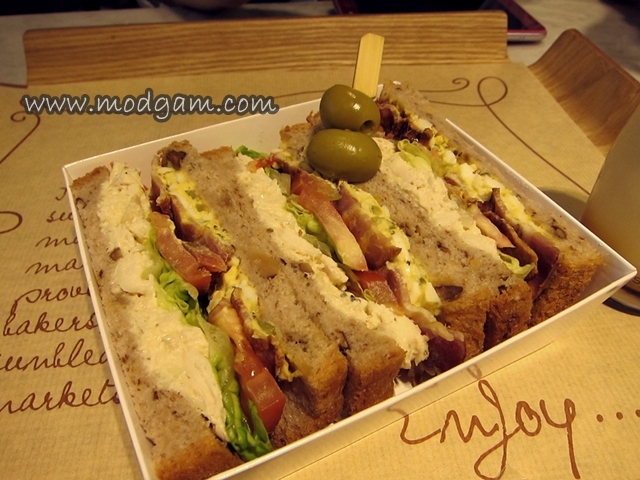 Ham Egg Sandwich – I didn’t feel like sandwich and bread but my friend was hungry and I’m glad she made me tried this for its really delicious. 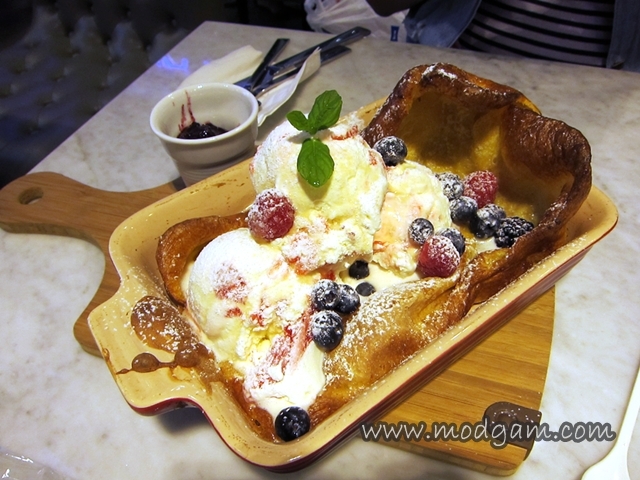 Hot Dutch Pancake S$17.00 – with gelato, fresh whipped and fruits. It looks really pretty and I love the crispy edges but it wasn’t long before the pancake was flooded with gelato. 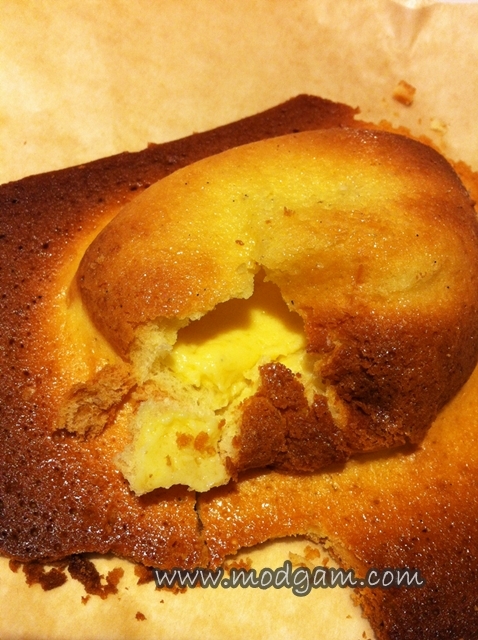 I didn’t quite enjoy the drowning soft pancake. 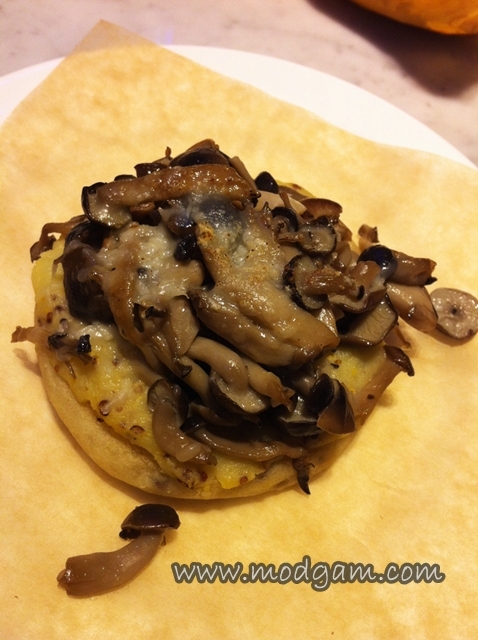 Mushroom Foccacia S$2.90 – yummy seasoned mushroom with potato paste flat bread. 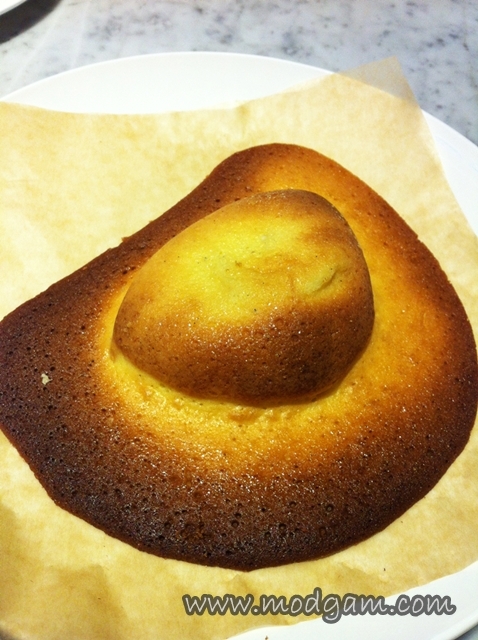 Flying UFO S$2.60 – UFO shaped custard cream bread. Crispy and “open” the UFO for some good loving custard. Wow Mango Cream Pie S$9.50 – the crust is flaky and soft, very different for its shape like a tart so I was kinda expecting the the crunchy tart-like but this is yummy. 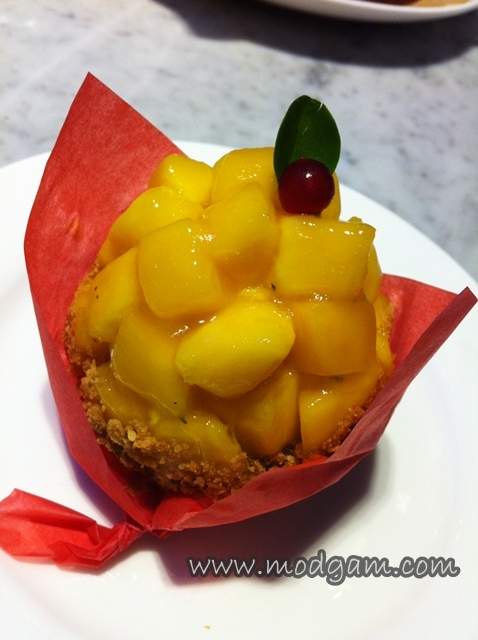 The mangoes are sweet and leaves you wanting more. 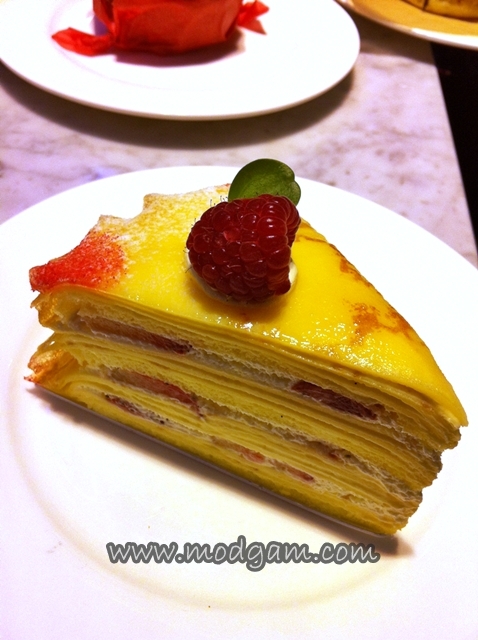 Oh My Baby Crepe S$8.00 – very interesting cake made out from thin slices of crepe. Tasty and interesting and one cannot help but to use a lot of love in appreciating this piece for one look at it, you can tell how much effort was spent making this! Anything that says “Paris” on it, must have delicious food! Everything looks so yummy! Too bad I can’t just fly on a plane to go try it! Haha! 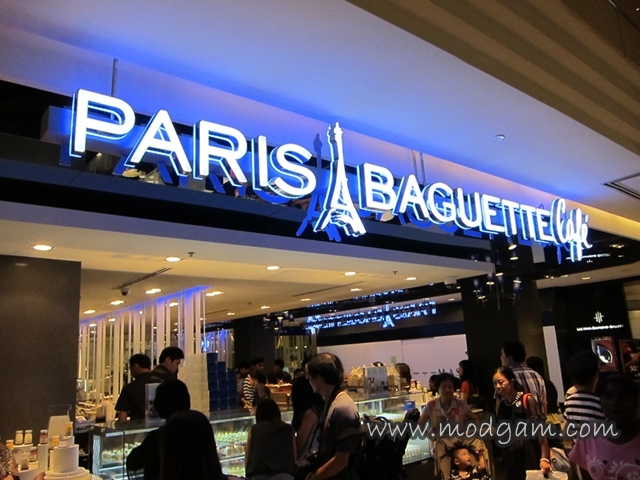 i like paris baguette too! some of the stuff can be overpriced but it’s generally decent quality. i shall have to try the mushroom focaccia.